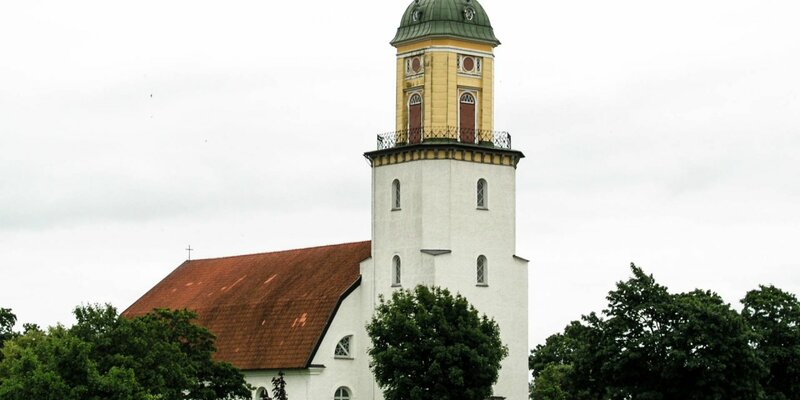 Egby Kyrka is the church of the small village Egby, around 14 kilometers east of Borgholm. 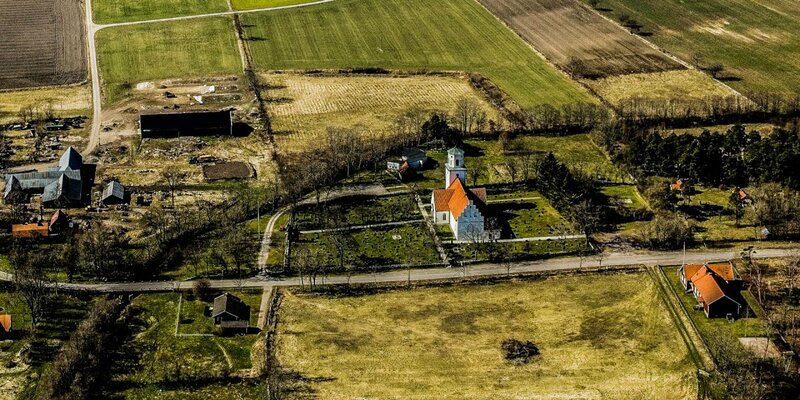 It is originally from the mid-12th century and is the smallest church on the island Öland. As successor to a wooden stave church the Egby Kyrka was built of limestone in the classic pattern of a main nave and a lower choir with small apse. Instead of a steeple, there was first a bell frame on the roof of the nave. 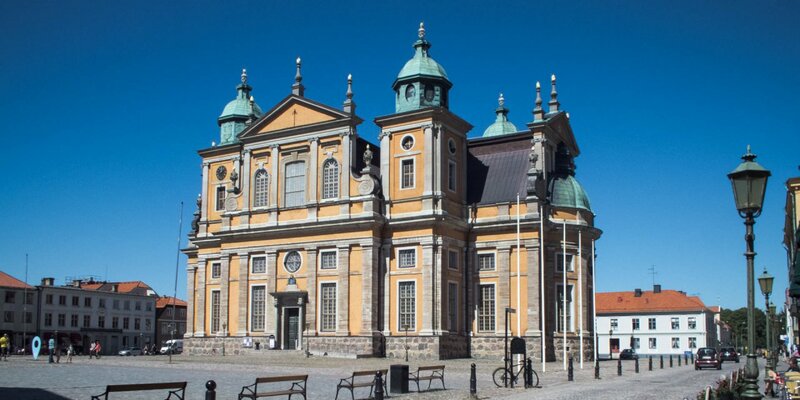 During the politically turbulent times of the 13th century the nave was raised by one floor with loopholes and the church was now a fortified church. During the mid-19th century, the ceiling to the upper floor was removed. Today's church tower was added and the church got a wood-paneled tunnel vault. The oldest sacral objects in the church are the baptismal font of gotlandian sandstone and the altar made from local limestone. 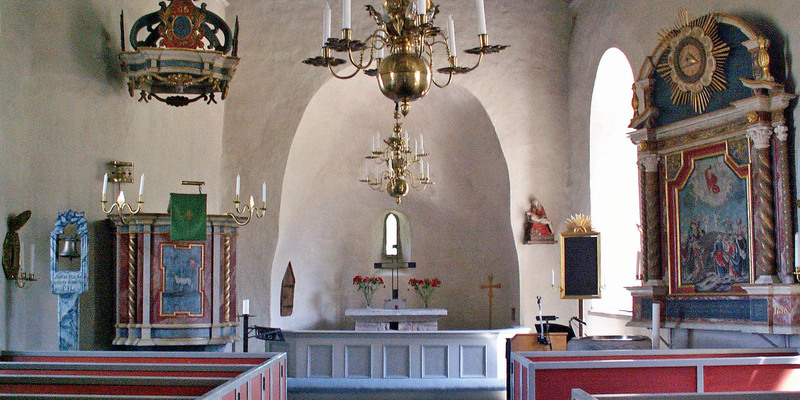 Both are from the Middle Ages, but the altar is the only one on Öland, which is still in its original medieval condition.